Gold prices edged lower on Tuesday, after hitting one-month high in the previous session, as a slight recovery in share markets and U.S. Treasury yields reduced some of the precious metal’s safe-haven appeal. Spot gold was down 0.2 percent at $1,319.86 per ounce as of 0426 GMT, after touching its highest since Feb. 28 at $1,324.33 in the previous session. 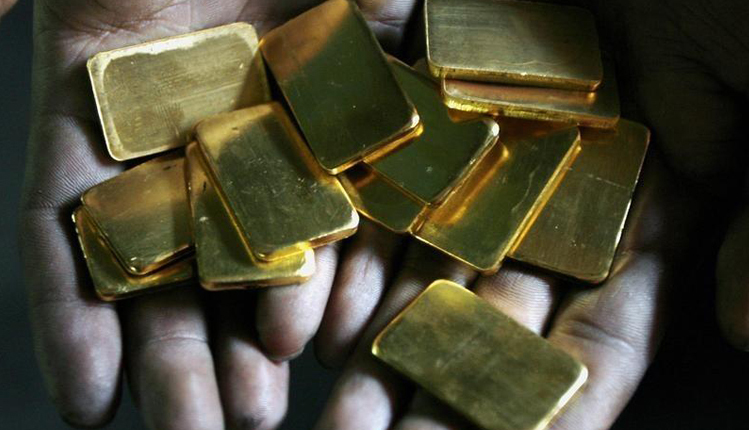 U.S. gold futures were down 0.2 percent at $1,319.80 an ounce. “Though concerns have gone up, we are not hundred percent sure there is going to be a recession as the yield curve inversion should be there for a whole quarter and not just for a day or two,” said John Sharma, economist at the National Australian Bank. The 10-year U.S. Treasury yield fell below the yield for three-month bills on Friday for the first time since 2007, inverting the yield curve. An inversion is widely seen as an indicator of an economic recession. However, Asian shares bounced back on Tuesday as U.S. 10-year Treasury yields edged higher, but the outlook remained murky as investors weighed the odds of whether the U.S. economy is in danger of slipping into recession. “Risk of a U.S economic slowdown has gone up and interest rates are on hold, which is giving some stimulus to gold, but it’s not enough to sky rocket gold prices. Investors need more confirmation of further weakness in the economy,” Sharma said. U.S. Federal Reserve last week abandoned projections for any interest rate hikes this year. Gold has gained about 3 percent so far this year, mainly on the back of a dovish Fed and concerns about a global economic slowdown. Market participants are also keeping a close watch on the latest round of Sino-U.S. trade negotiations, scheduled to start on Thursday in Beijing, and the next Brexit vote. British lawmakers will now vote on a range of Brexit options on Wednesday, giving parliament a chance to indicate whether it can agree on a deal with closer ties to Brussels. Any positive developments from either of the geo-political issues will weigh on gold prices as investors appetite for riskier assets will rise, denting bullion’s safe-haven appeal. Among other precious metals, palladium slipped 0.1 percent to $1,575 per ounce, after touching its lowest in two weeks at $1,532.56 in the previous session. Silver was flat at $15.54, while platinum dipped 0.2 percent to $853.45 an ounce.